Photo: Our program director Malaya stands beside building materials for the new Hope Center. The new facility will enable us to rescue many more children from hazardous child labor. 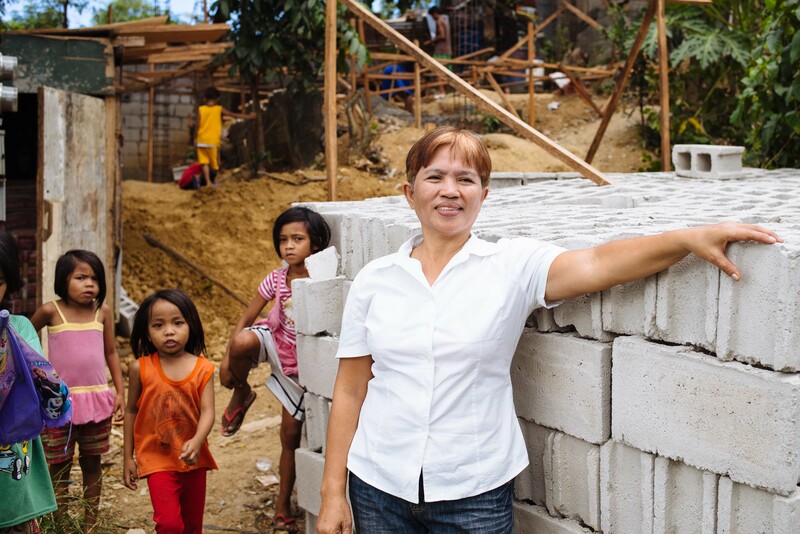 We are happy to report that construction is underway to build a permanent building for our Children’s Hope Center deep in the heart of one of Manila’s most hazardous slums. Situated on the edge of a huge city landfill, the Payatas Colony is a living nightmare where children play in contaminated drainage and are working in unthinkable, hazardous conditions as young as age 5. Currently, the foundation is being poured and support beams are starting to go up. Thanks to your support and contributions from our generous donors, the construction has been fully funded — we expect everything to be completed in January. The layout of the Hope Center will include a study hall, a small kitchen, and two bedrooms. The two bedrooms will be for our director, Malaya — a single mother who has a huge heart for these children — and 5 orphan girls in her program whom she is seeking to adopt. Thus, the new Hope Center will also double as a small orphan home. Soon we will be buying new desks, computers, and other educational supplies to aid the children in their studies. We currently have about 100 children (ages 3-15) who benefit from the program and will enjoy the improved facilities. However, the capacity for the after school care program will be at about 25 children for now. Our current program is operated part-time and focuses on getting the children enrolled in local schools by providing them with school supplies and the fees needed to enroll in school, along with nutrition and hygiene assistance. But thanks to the new facility being built, we plan to expand the program into an after school care program, where the children can come to find help with their homework, work on the computers, and get snacks and a fresh-cooked meal before going home for the day. Malaya and our 6 volunteers will help the children with their homework, computer tutoring, and cooking. By keeping the children successfully enrolled in school we can keep them out of the extremely hazardous child labor that goes on in the Payatas colony, and also give them much better chances of avoiding the perils of human trafficking which currently plague Manila. It is estimated that over 60,000 children are involved in child prostitution in metro Manila, with its staggering population of 23 million. 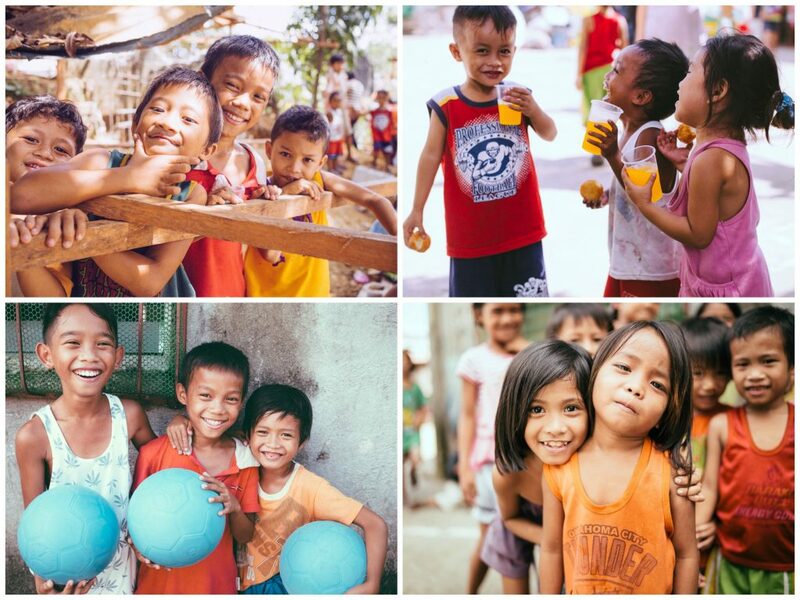 Photo inset: (Top-left): Local children are excited about the progress on the new Hope Center. (Top-right): Children who benefit from our current Hope Center enjoy an afternoon snack. (Bottom-left): Boys at our current Hope Center afternoon program have fun playing games with their “One World” indestructible balls. (Bottom-right): Children gather for snack time on the basketball court at the Hope Center. The new building will also enhance our ability to conduct VBS style activities during the rainy season. The children of the community have come to love the activities of the program which include group games, art, singing, and dancing. The Hope Center program is based on our successful model of educational support, tutoring, and nutrition aid we developed in Hyderabad, India. We have started a small education scholarship program for the most at-risk children which includes the provision of school supplies, hygiene items, and uniforms needed to get registered in local schools. However, we have many more children in our program who are in need but have not received scholarships due to funding constraints — we pray to be able to reach these other children soon. Thank you for your prayers and support which enable Malaya and the rest our native team to continue their hard work — enriching the lives of our children, breaking the cycle of poverty, and rescuing them from child labor.